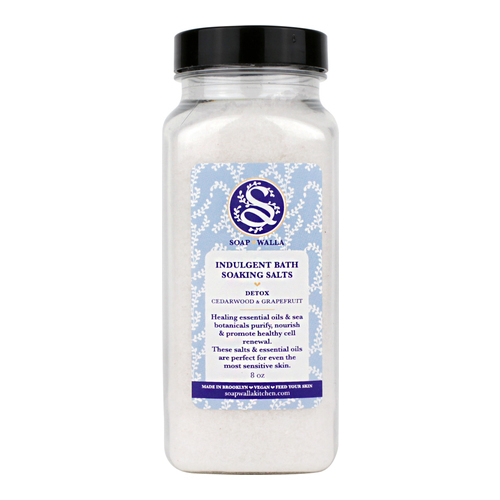 A detoxifying bath salts that nourishes the skin and stimulates the cell renewal with cedarwood and grapefruit oils. • Pour a large handful into a warm-to-hot bath. • Soak for 20 minutes. • Rub down skin without rinsing.